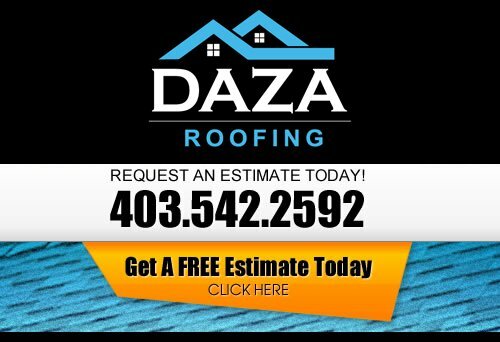 At Daza Roofing, we take pride in our roofing projects. We will complete the roofing project as if it were our own home. We’re going to get the job done right, the first time. We spend a lot time with the client to ensure we know exactly what they want; enhancing the look of their home. Daza Roofing is dedicated to customer satisfaction. Our Calgary roofers are reliable, polite, and all have strong work ethics. We want your roofing project to be as stress-free as possible! We are a small company with a low overhead which translates to savings for your project. All of our roofing technicians are company trained, we do not use sub contractors. Our Calgary roofing services will include a well written warranty. If you are looking for a reason to hire a professional Calgary roofing company, then please call us today at 403-542-2592 or complete our online request form for a free estimate.